I have expounded on my love of butcher paper before and I thought I should mention that kraft paper fits in that category as well. Having them in your house will increase your happiness by at least 15%. There is obviously no scientific proof behind that, but you should still try it. The stuff is just HANDY! 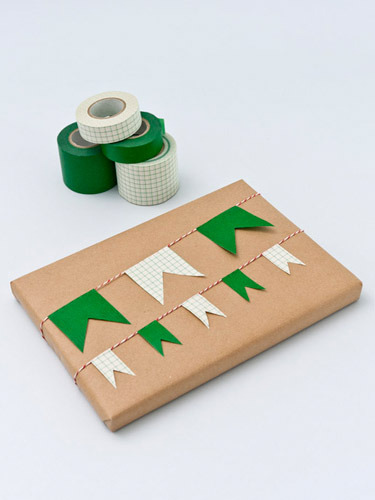 Like for gift wrap, butcher paper and craft paper are a blank slate that you can do all sorts of fun things with. Let your kids color all over it, paint it, stamp on it, or make cute washi tape bunting to decorate it with. 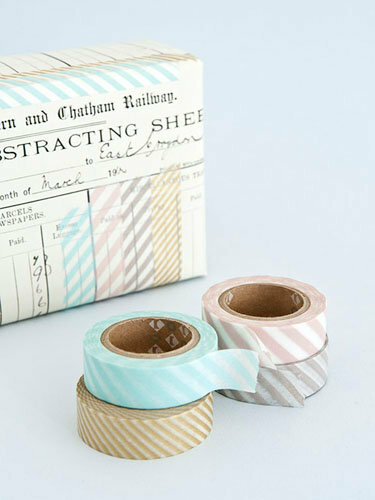 Papermash doesn't just sell the colorful masking tape from Japan, the site is full of unique ways to use the stuff. Like gift wrap. 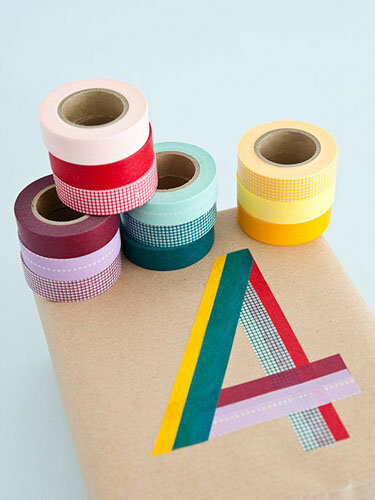 Washi tape and kraft paper are a match made in heaven. I am beginning to fall head over heels for this tape, Lorie!!! LOVE this! Wonderful! Have a sweet day!